A while back I wrote about using the CodeRed Red Suite (see “Red Suite 5: Eclipse Juno, Processor Expert and unlimited FRDM-KL25Z“), and only shortly afterwards NXP had acquired CodeRed. Now with NXP is in the process to acquire Freescale, time to look how the Freescale Kinetis SDK and Processor Expert can be combined with the LPCXpresso? 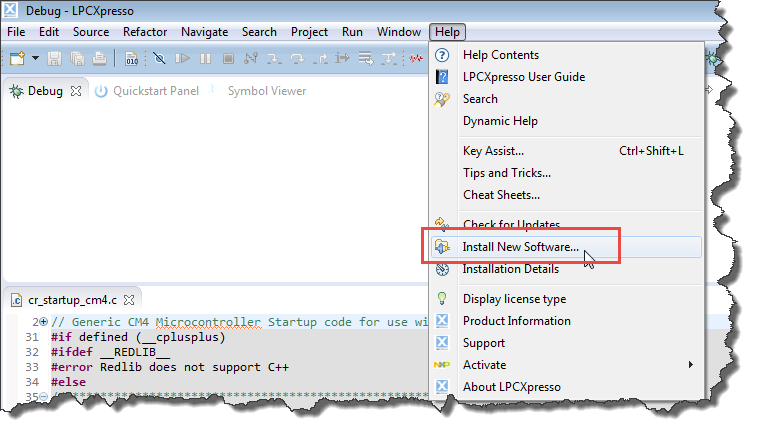 💡 LPCXpresso is a special version from CodeRed created for NXP. 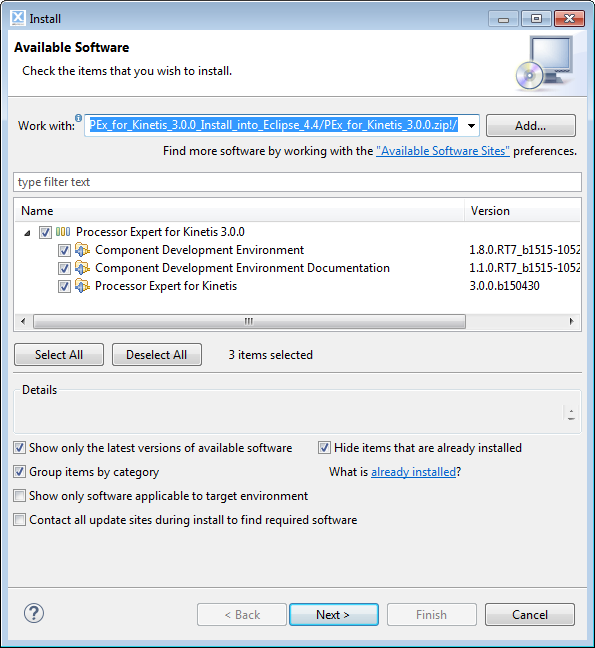 💡 I already have Kinetis Design Studio V3.0.0 installed on my machine. I have not tried the steps below on a clean machine. The steps below work for me using the FRDM-K64F board and the Segger J-Link Software. 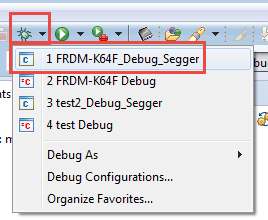 LPCXpresso is able to debug my board using Segger, but I’m not sure if it using the KDS drivers or drivers from LPCXpresso. Press ‘Next’ and go through the installation process. 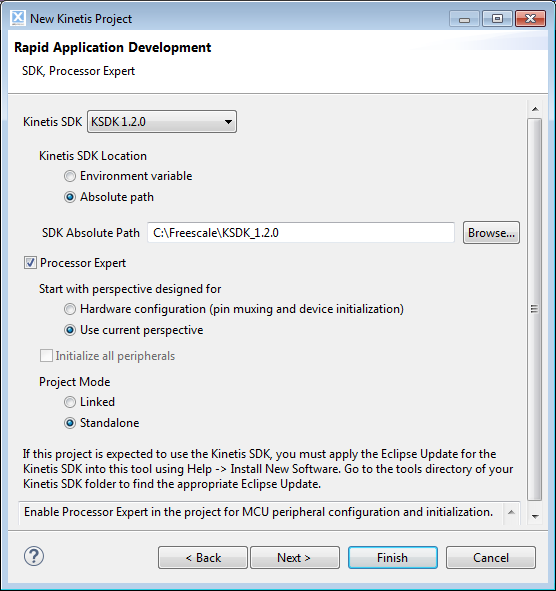 Next, download Kinetis SDK from http://www.freescale.com/ksdk and install it. 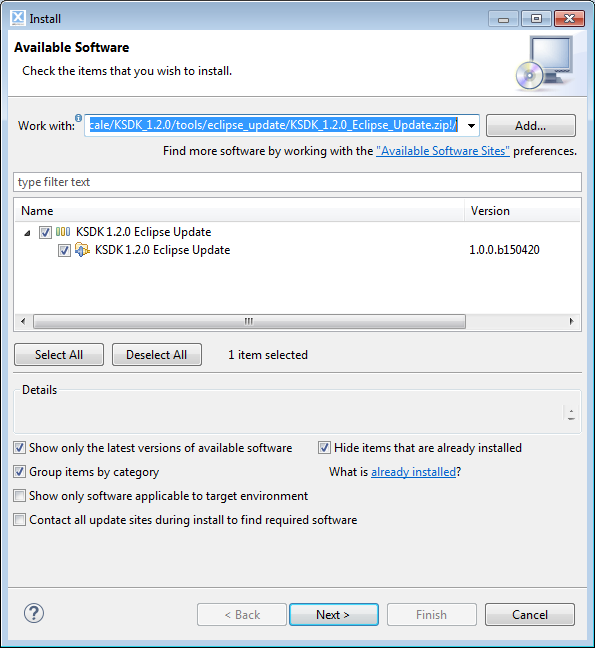 The Kinetis SDK is a software library and drivers package for Kinetis devices. The version I’m using at this time is V1.2.0. 💡 Drag&Drop the file into the ‘Work with’ edit box. After that, ready to rock :-). 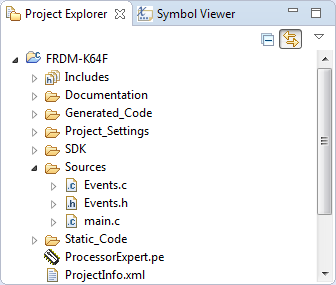 💡 Do not use the ‘plain’ debug icon, as this launches a LPCXpresso specific ‘search my debug adapter/emulator’ wizard, which won’t recognize a non-LPCXpresso debug connection. 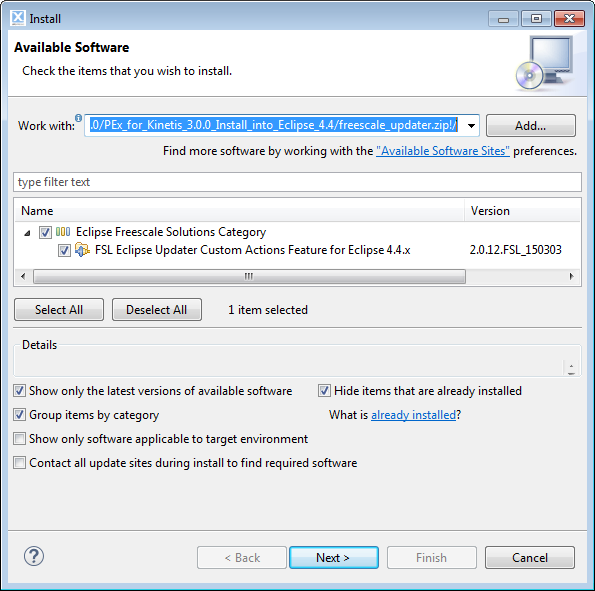 LPCXpresso is a nice Eclipse distribution, with nice features built-in like trace. Their customized build tools integration and views making things easy to use. 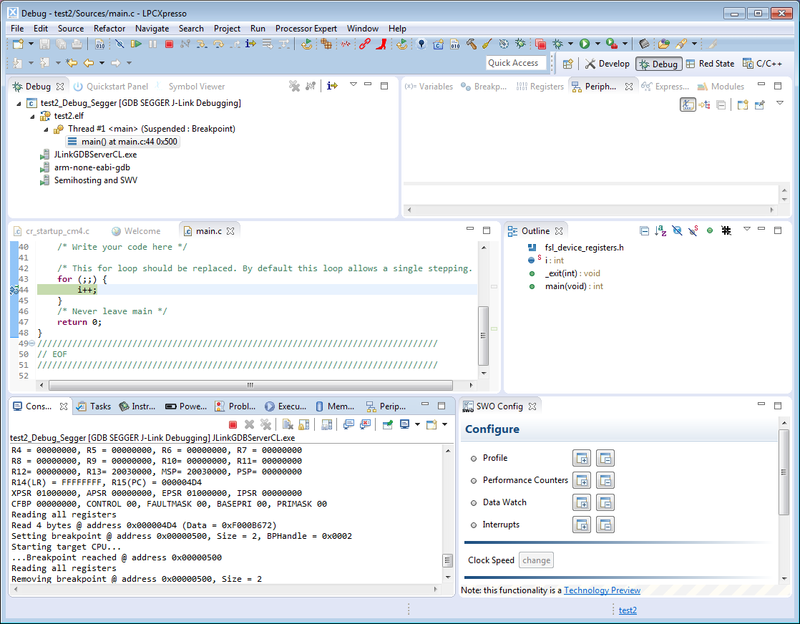 Advanced features like trace are not free of charge, and the free of charge edition comes with a code size limit. 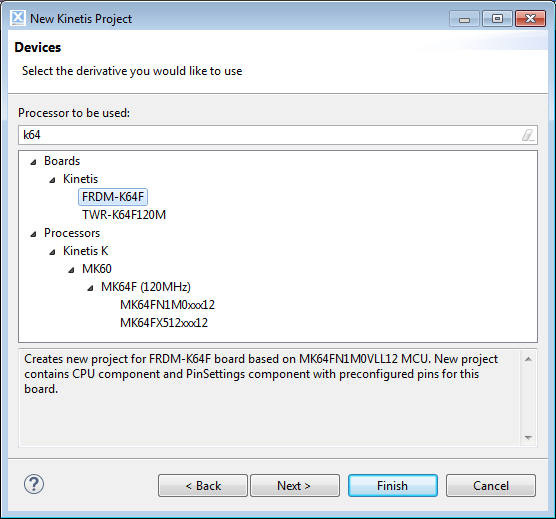 On the other side, the Freescale Kinetis Design Studio is unlimited and free of charge, but does not come with advanced features like trace. 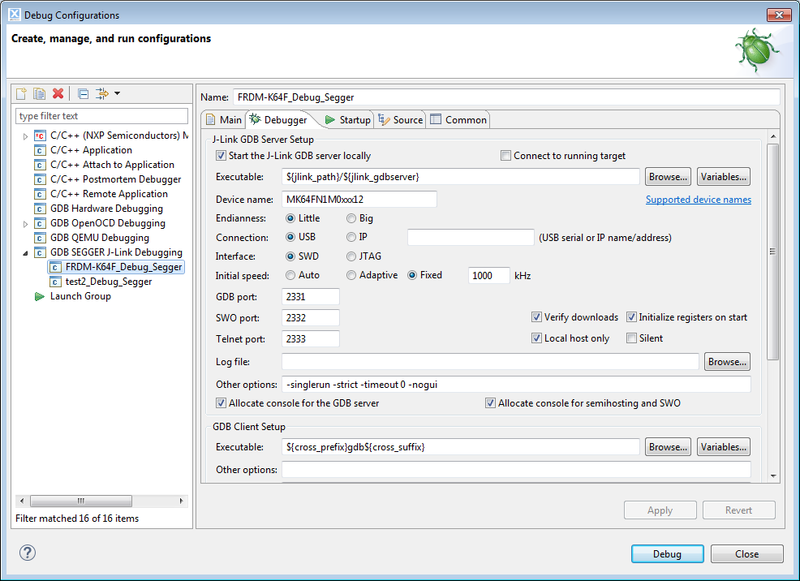 The cool thing is that the Freescale differentiator Processor Expert and as well the Kinetis SDK support with it can be easily installed into the LPCXpresso IDE, making it possible to be used for Freescale Kinetis Devices. 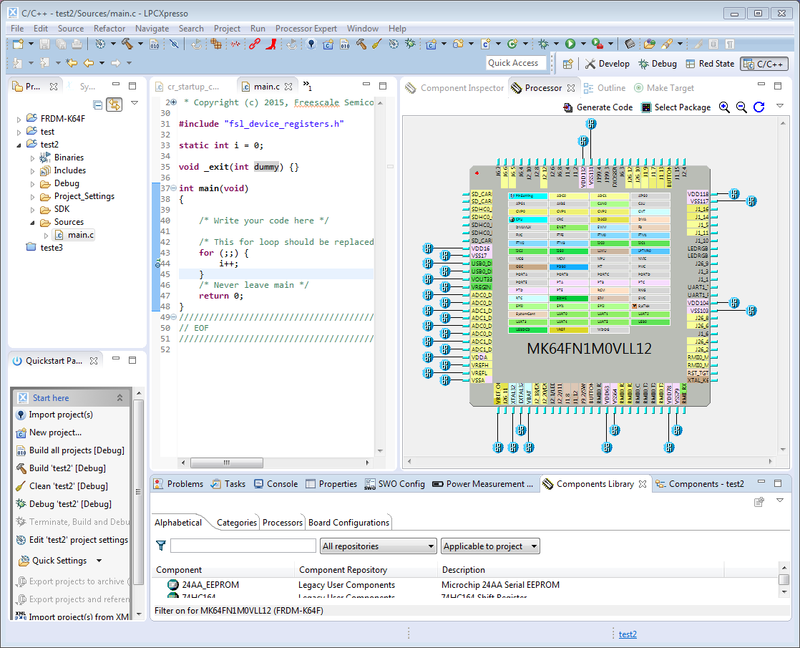 This entry was posted in Eclipse, Freescale, KDS, Processor Expert, SDK, Thoughts, Tips & Tricks and tagged arm gcc, Building, Debugging, Eclipse, freedom board, Freescale, LPCXpresso, NXP, Processor Expert, Segger, technology, Thoughts, Tips&Tricks, tool chains by Erich Styger. Bookmark the permalink. 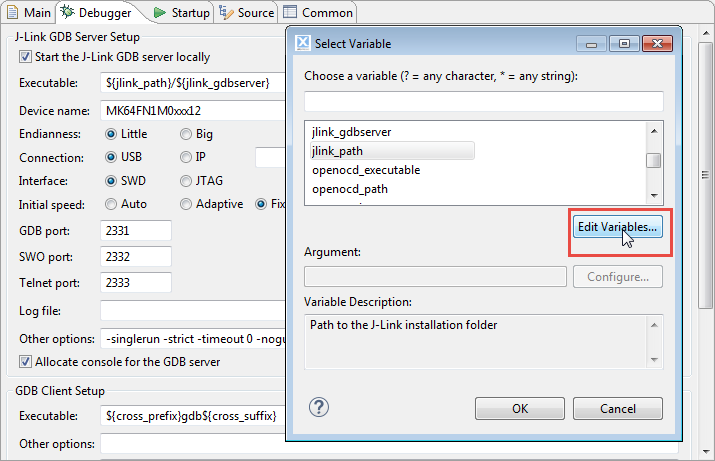 instead of manually editing variables in the String substitution window, there are now separate Preferences pages (for SEGGER J-Link, OpenOCD and QEMU) in the Run/Debug category. they have the same effect, but are somehow easier to use. thanks for that hint. Indeed, that is easier to use (and find). I have updated the post with that information. Thanks Eric. Interesting article. 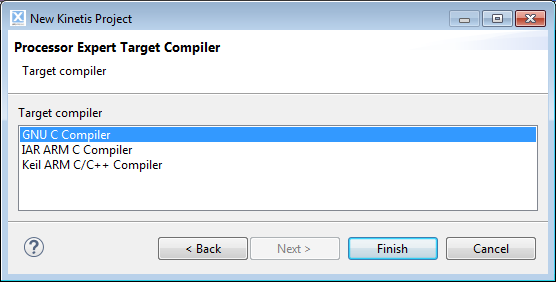 Couple of minor points on your comments on LPCXpresso IDE though. First of all, LPCXpresso does use the GNU ARM Embedded tools from launchpad – but it ships with the ‘Redlib’ C library as well. Secondly, the Free Edition of LPCXpresso does provide both SWO trace and instruction trace support. See http://www.lpcware.com/content/faq/lpcxpresso/trace-overview for details. thanks for the information and the links. Yes, I was thinking it is using the GNU ARM Embedded tools from launchpad, but was not sure. 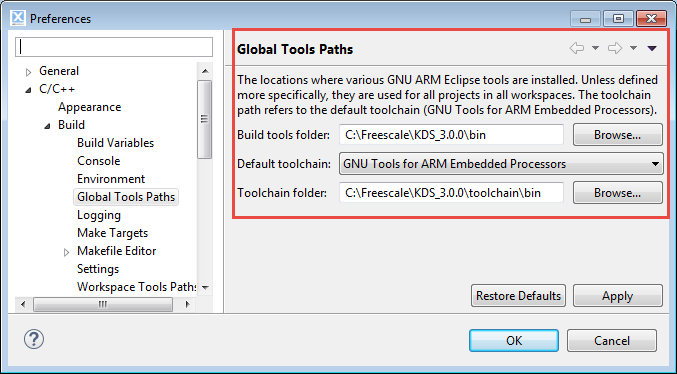 I see if I can use it properly with the GNU ARM Eclipse plugins. 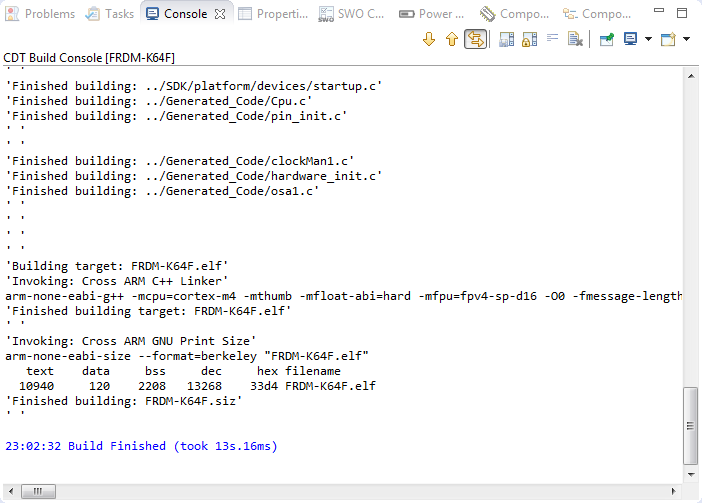 And thanks for the information about the trace, I need to see if this works with the Freescale devices too. I hope it does, but I need to find out. The question I have is how the KInetis devices will merge in with the LPC devices. It seems that they fit in well between the LPC cortex M3 17xx 13xx devices and the LPC4xxx high end devices. Any guesses at how they merge the MCU lines? Sure hoping that the kinetis sticks and the pricing continues to be superior in function/prices. This is really hard to tell, so I guess we have to wait and see what comes out of the merger.